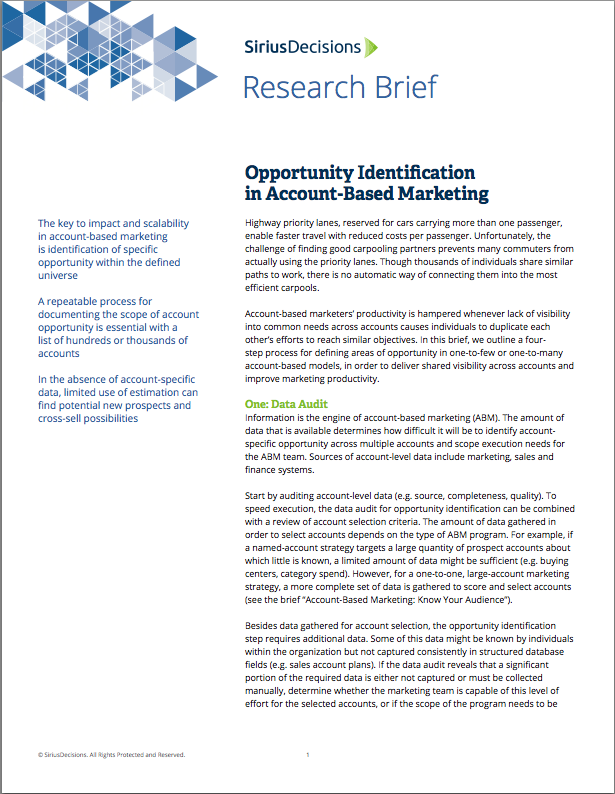 and receive the Research Brief - Opportunity Identification in Account-Based Marketing. So, you're interested in Account-Based Marketing? The key to impact and scalability in account-based marketing is the identification of specific opportunities within your defined universe. Developing a repeatable process for documenting the scope of account opportunity is essential. In the absence of account-specific data, limited use of estimation can find potential new prospects and cross-sell possibilities, but the potential is so much more.